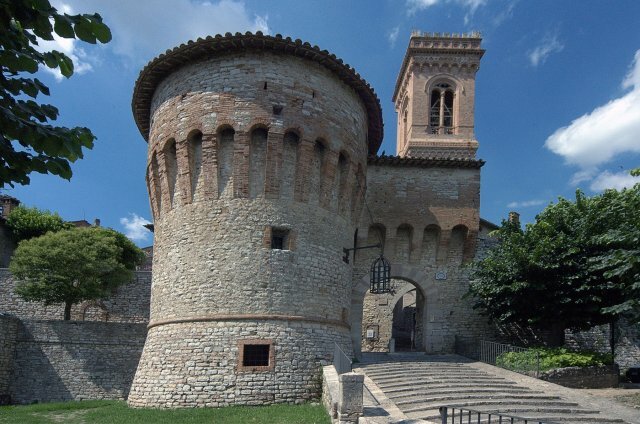 Corciano is a beautiful town in the Green Heart of Italy, situated on a hill about 12 km from Perugia. 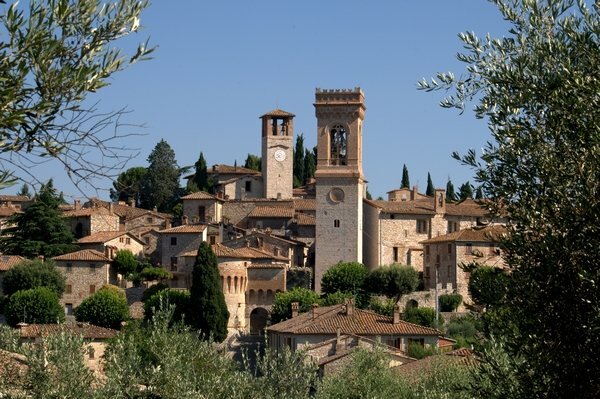 It's included among the most Beautiful Villages of Italy, recognized as a European Destination of Excellence. 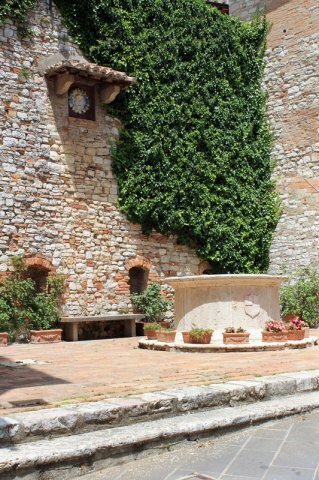 It's a typical medieval castle in Umbria, where time seems to stand still. Everything smells of ancient, simple, true. A high boundary wall encloses the village rich in history and works of art. Inside successive streets, stairways, palaces, towers, churches, craft shops. From the top you can see a beautiful and vast view, ranging as far as Lake Trasimeno, Mountain Amiata and beyond the Mountains Martani. The origins of Corciano can not be reconstructed exactly, since there isn't a certain documentation. 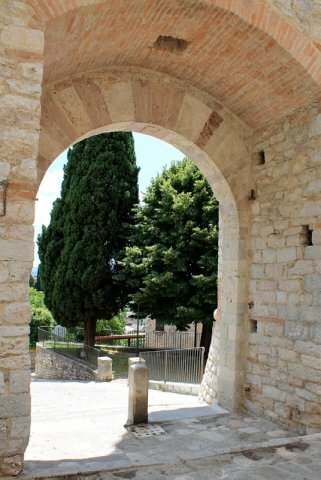 Perugian historians trace the origin of the name Ciano Razzeano, son of Giano, the founder of Perugia. According to the legend, however, Corciano was built by Coragino, traveling companion of Ulysses. According to popular tradition, now consolidated, the name of Corciano simply means "heart of Giano". 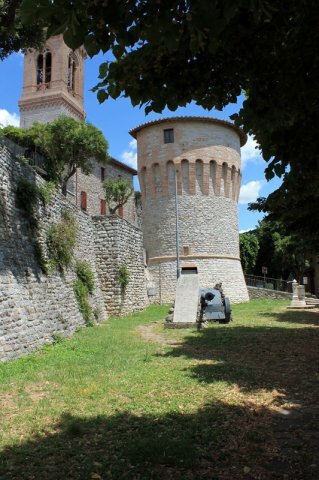 Corciano, given the strategic geographical position, represented for Perugia an outpost of defense and was always linked to political affairs of the city. Given the lack of reliable historical sources, we can assume, finally, that the castle was of Etruscan-Roman origins, as attested by some remains in the upper part of the village and the discovery of an Etruscan necropolis nearby. This ancient town has many museums: the Museum of Pievania, the Antiquarium, the Museum of the Country House, the Center Enhancement Typical Products.